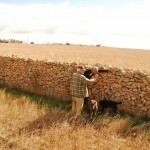 Its unusual, innovative and complex design demonstrates the development of a highly skilled fishing technique involving a thorough understanding of dry stone wall construction principles, river hydrology and fish biology. 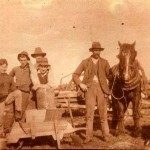 It is evidence of a distinctive way of life that is no longer practised today. …The fish traps are significant for their technical, creative and design excellence as well as for technical achievement. 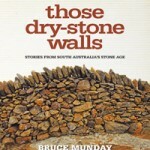 They are an unusually large and innovative construction from pre-European Aboriginal technology. 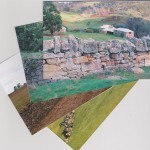 The stone-walled pens, designed to withstand the high water flows of the Barwon River, are tear drop shaped with the convex wall facing upstream. Some of the pen walls are higher than others enabling their use during both low and high water flows. This is combined with pond gates set at different locations enabling fish to be caught as they migrated both upstream and downstream. …The fish traps are an essential landmark in this Aboriginal community’s sense of place. See here for the full assessment report and here for the NSW Heritage Council’s webpage on the fishtraps. In 2000 the Brewarrina Fish Traps were listed on the NSW State Heritage Register (SHR) and in 2006 they were listed on the National Heritage Register (called by their Aboriginal name, ‘Baiame’s Ngunnhu”). See here for guided tours. 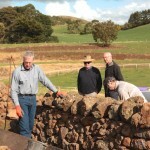 The Kiama Council produced a Development Control Plan 2012 which covers dry stone walls heritage protection – Kiama LGA Chapter 30, Section 4 Dry Stone Walls There are over 360 dry stone walls mapped and assessed for heritage value by the council. Proposals to demolish, damage, alter, dismantle or destroy these walls require council consent. The Council may also require a Heritage Impact Statement if it is of the opinion that there is potential for a dry stone wall to be adversely affected by a proposed development. It also has detailed controls around maintenance, conservation and siting of other structures in the vicinity.